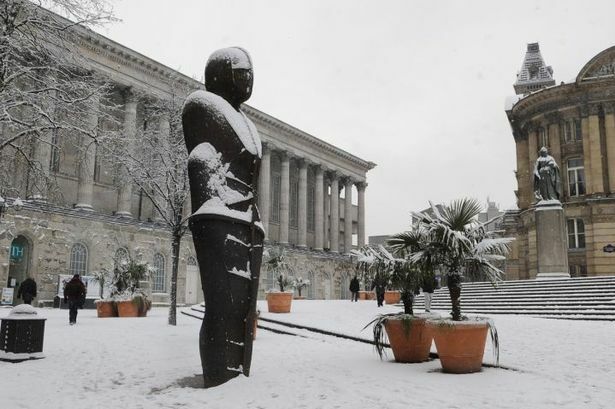 Sadly for me a company I worked for in the past wasn't on top of following their own health and safety procedures, Let me take you on a dramatic adventure...picture this Birmingham covered in a blanket of snow. Sounds amazing right? Not when you have to go to work. I put on my best comfy boots and headed out into the iced wonderland. When I got to the place I was working I had to venture across a car park to get into the main building and when I got to the path suddenly it was all over. I slipped and head my ankle crack. I was in agony and had to be rushed to hospital. The company hadn't taken the time to grit the property to make it safe for workers to get in and out as I worked with children at the time I could only be thankful that it was me that got injured and not one of the little ones. Usually I would be very British about it all and think that I was to blame but then I realised I had made sure that I had appropriate footwear on and now with a broken ankle was going to be off work for some time. I was angry that the company I worked at hadn't taken the time to look after not only the employees but the children and families that used our services. It was then I contacted a solicitor who helped me take action. It is important to do this not just for your own well being to be able to recoup some of the lost money by having to be off work but also so that the company will then revisit their health and safety to ensure that it will not happen again. Have you ever had an accident at work?